If you have been following my blog, you might remember my mum bought some Angry Birds fishcakes for my boys last year. 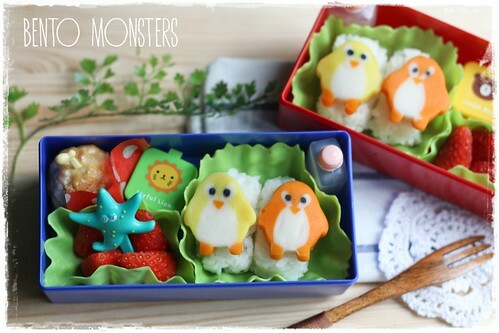 Recently, she bought some penguins fish cakes for them. They are pretty cute and comes in different colours. I also packed in cheesy meatballs and strawberries. There's soya sauce and ketchup in the two containers. 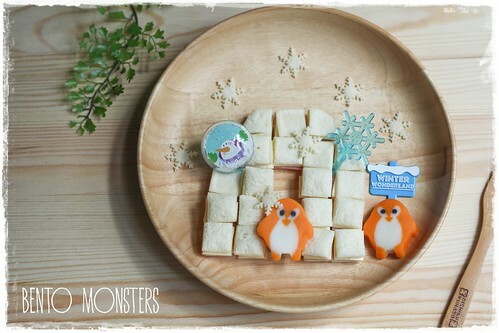 This snack for my boys was done on Wednesday, igloo is cut out using FunBites. 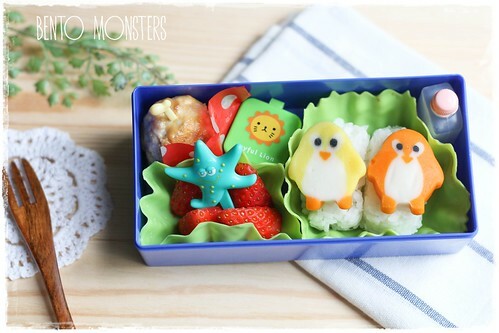 This awesome idea comes from Tiny Princess Lunch box, hop over to her site to check out her original creation. :) I've a FunBites giveaway coming up soon, in February. 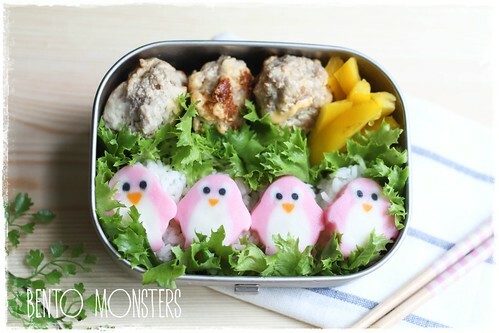 So these are the penguin fishcakes you mentioned! Mega cuteness! I must really head down to the wet market to find some! 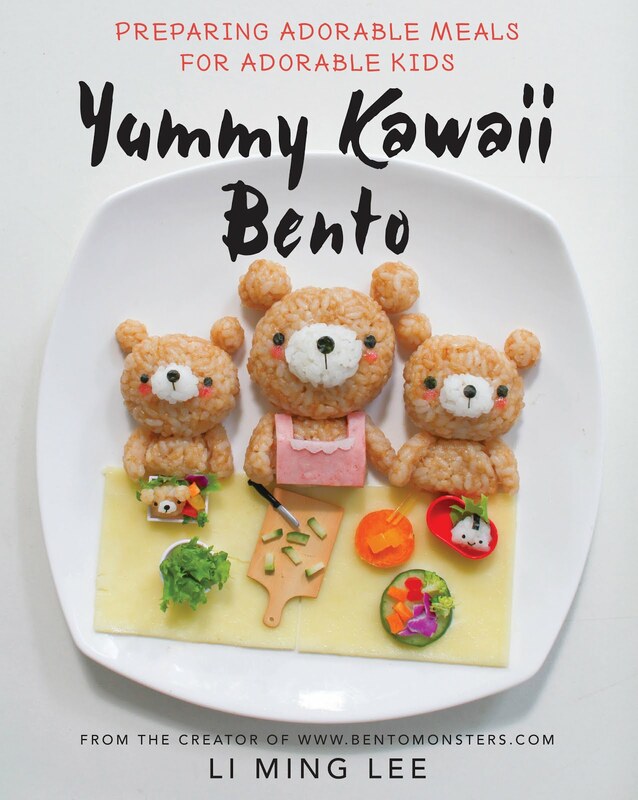 The penguin kamaboko is sooo damn cute. Where can I get them? Havent seen them at Mediya.. is it at Isetan?